*If this information seems a little overwhelming, don't worry. That is why you get the professionals at East Louisville Realty to work for you. Mortgage / Home Loan Terminology - "What is a"
Assumable Mortgage: when a home is sold, the seller may be able to transfer the mortgage to the new buyer. This means the mortgage is assumable. 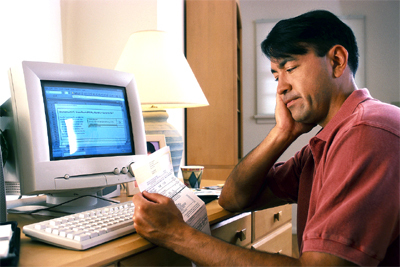 Lenders generally require a credit review of the new borrower and may charge a fee for the assumption. Some mortgages contain a due-on-sale clause, which means that the mortgage may not be transferable to a new buyer. Instead, the lender may make you pay the entire balance that is due when you sell the home. Broker: a licensed individual or firm that charges a fee to serve as the mediator between the buyer and seller. Mortgage brokers are individuals in the business of arranging funding or negotiating contracts for a client, but who does not loan the money. Closing Costs: fees for final property transfer not included in the price of the property. Typical closing costs include charges for the mortgage loan such as origination fees, discount points, appraisal fee, survey, title insurance, legal fees, real estate professional fees, prepayment of taxes and insurance, and real estate transfer taxes. A common estimate of a Buyer's closing costs is 4 to 8 percent of the purchase price of the home. A common estimate for Seller's closing costs is 6 to 9 percent. Commission: an amount, usually a percentage of the property sales price that is collected by a real estate professional as a fee for negotiating the transaction. Traditionally the home seller pays the commission. The amount of commission is determined by the real estate professional and the seller and can be 6% of the sales price. Multiple Listing Service (MLS): within the Metro Columbus area, Realtors submit listings and agree to attempt to sell all properties in the MLS. 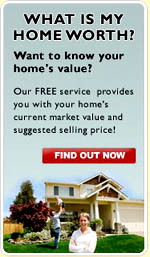 The MLS is a service of the local Columbus Board of Realtors�. The local MLS has a protocol for updating listings and sharing commissions. The MLS offers the advantage of more timely information, availability, and access to houses and other types of property on the market.